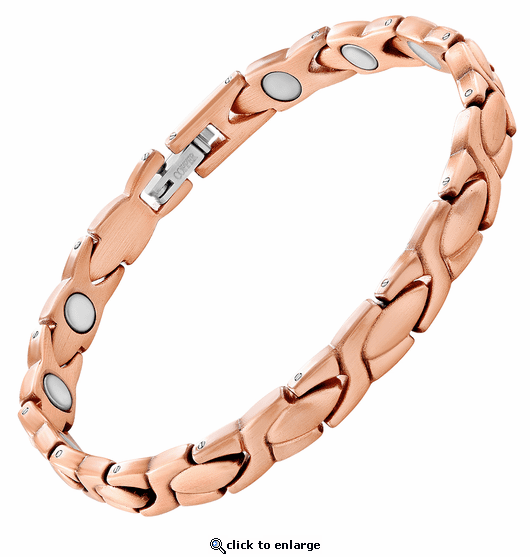 This is a solid pure copper link magnetic therapy anklet. Finally real copper in a link style anklet. This copper link anklet has a powerful & permanent 3300 gauss neodymium rare earth bio north facing magnet in each link. Order yours today.